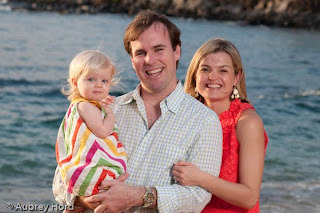 Aubrey Hord Photography: Hooray for colorful rays of color! Hooray for colorful rays of color! Here is one answer to the inevitable question of what to wear for your photo shoot. Everyone thinks they have to wear white and khaki for their photo sessions. Here's one example of going with color instead of white. 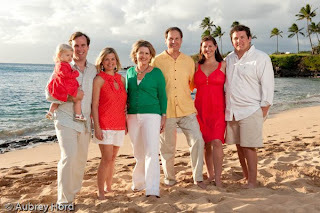 I welcomed the Ray family to Maui with a photo session at Kapalua Bay during Spring Break and they wanted to wear bright colors. Hooray hooray! Colors look great against the tropical background and compliment people's skin tones, eyes, and hair colors. 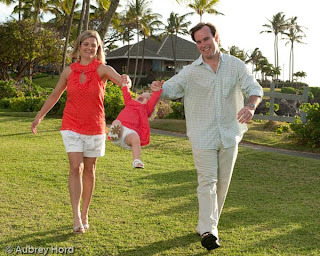 Young children always look great in bright colors and subtle or simple patterns. I usually recommend wearing colors that match people's eyes or hair OR colors/outfits that people always get compliments on. If you have a favorite outfit, or jewelry that compliments you, wear it. If you feel good in what you are wearing, it will show in the photos and you will have great results. If you are fussing with your clothes the whole session, it will also show. We usually have our clients walking, standing, sitting on the beach and grass as well as jumping (if they want). So, it is best to wear loose fitting clothing and clothing that won't blow up with the wind or not allow you to sit down comfortably like short skirts or dresses. In terms of patterns, stripes and polka dots don't usually translate well in pictures so it is good to avoid those. 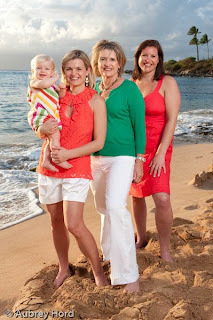 Many times, clients decide to bring a change of clothes for their photo session which is also an option.